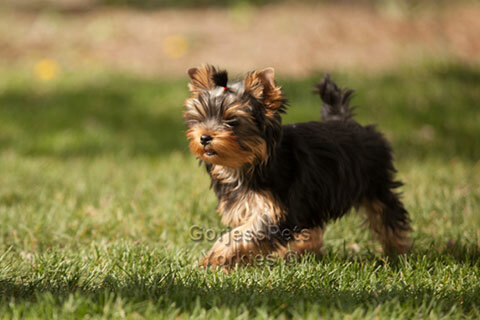 There are many different breeders online when looking for Yorkie puppies for sale. Purchasing pets online can be tricky. Before you purchase a Yorkshire Terrier puppy, search online for the breeder's reputation. Everyone wants the best quality Yorkie for their family. Doing your research first is an important investment for having a long-time, family member. Choosing a puppy with poor health foundation can be extremely costly down the road. 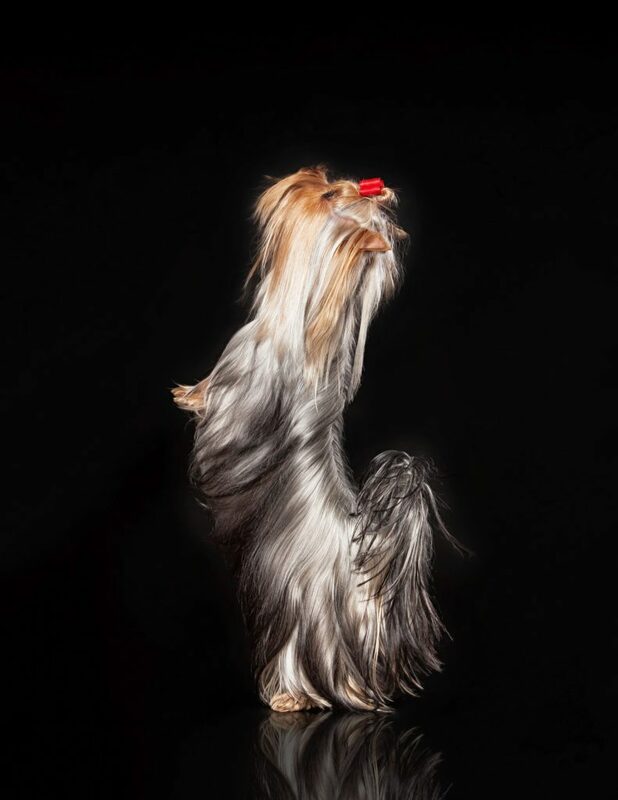 Many things to consider in a reputable breeder is one who is knowledgeable about the correctness of the breed and the ability to understand what a quality Yorkshire Terrier means. 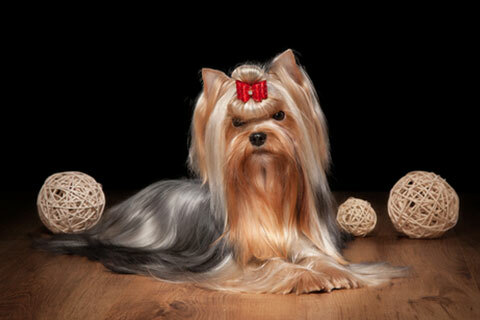 The breeder should have extensive knowledge about health issues that a Yorkie can have. Knowing the health history behind their pedigrees and the puppies they have for sale, is something every buyer should ask about. 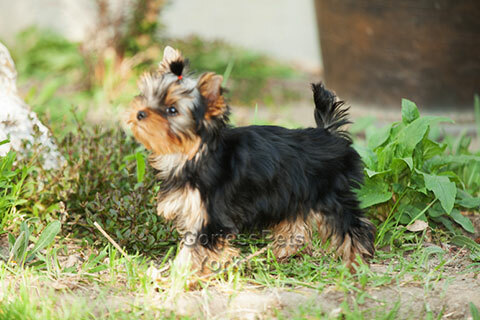 Truly the best source of Yorkie breeders even when buying a pet Yorkie puppy, is a show breeder. They strive for the most perfect Yorkies and puppies. You will know you have gotten the best Yorkshire Terrier which should assure a healthy, long-term pet. 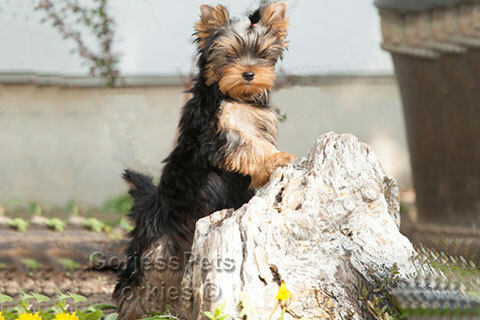 You will feel more at ease when buying your Yorkie puppy when you see great reviews of that breeder. Even though they are small, they make the best little watch dogs no matter what their size. Their loyalty has no bounds. Their playfulness and energy make them very entertaining also. YORKIES are also great lap dogs. They will sit there for hours just to be with you. 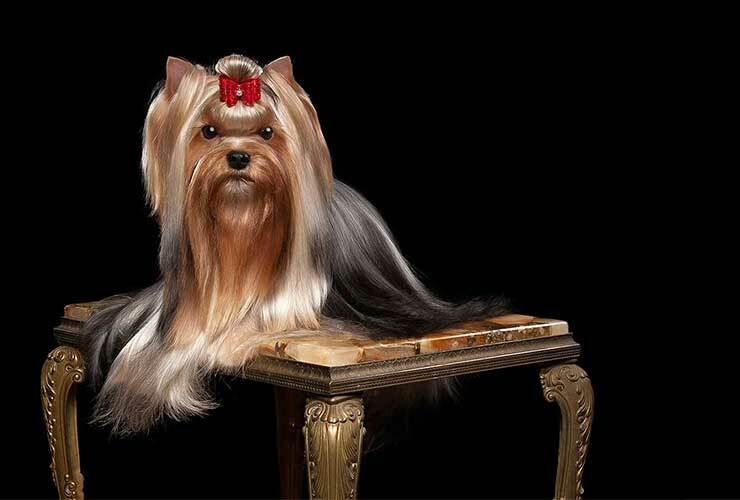 This breed of toy dogs where a full-size Yorkie is typically less than 10 pounds and are usually between 4 to 7 pounds which is the AKC standard size. Their coats are typically very gorgeous long, silky that flows as they strut. Many find the puppy cut look to be very easy to manage. Also you may wish to visit our recipes for the best food for Yorkie puppy. 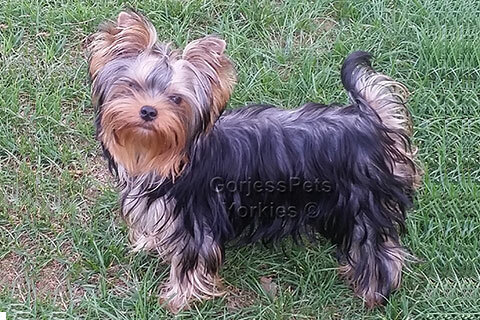 When looking for Yorkshire Terrier puppies for sale, consider a a full-grown Yorkie. Older dogs can be socialized and have some great habits already. Much of the new puppy training is already done for you. Yorkshire terrier breed are very small dogs, this breed is the standard weight of 23 kg (4.5 to 6.5 pounds) and a height of between 10.5 and 23 cm. It is worth mentioning that a dog of this breed has held the world record for the smallest dog in the world. His name was Big Boss, and in 1995 at the age of one year when he received this title was 11.9 cm high and 12.9 cm long. It is an old English breed increased and improved in Yorkshire in England - where he got the name in 1870. Originally used to hunt mice and rats in mills and mines duchy York. Later in the Victorian has become a loved and appreciated pet. Life is about 10-15 years. 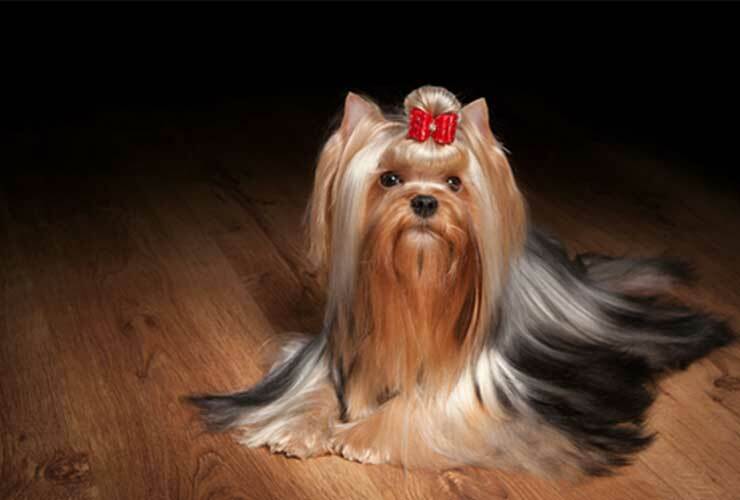 Fur, characteristic of this breed is down to the earth, shiny and silky treat a middle parting. Pups are born gray and brown and barely two years will breed specific colors: steel blue and tan. In the mid-1800s, workers have migrated from Scotland in the north of England and brought with them many varieties of small terriers to hunt rats. Few exact data is known about the first copies. It presupposes that race appeared after pairing selective OF THE terriers brought from Scotland. 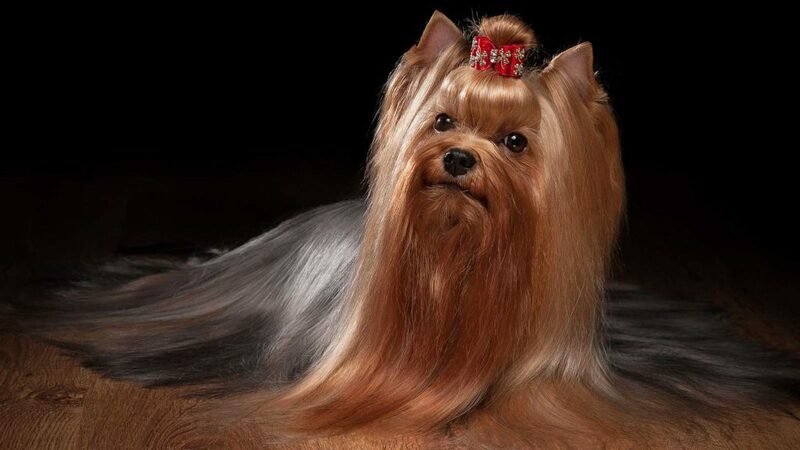 In time, Yorkshire terriers have become increasingly popular and breeders began to participate in exhibitions profile these dogs. The first specimen was a male star named Huddersfield Ben. After the dog were established much of the current breed standards. Huddersfield Ben, who died in 1871, was higher than today's specimens, but through selection programs, the dimensions of the dog were reduced to the current level. 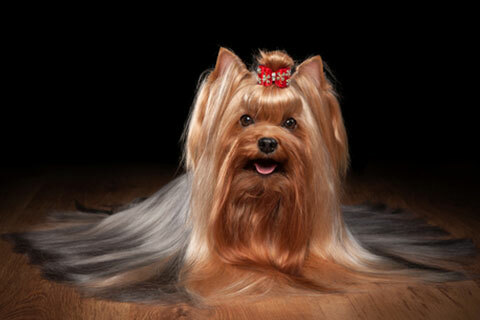 Also in 1995, a Yorkshire Terrier called Big Boss was named the smallest dog in the world - setting a new world record. The dog was then only 11.9 cm high and 12.9 cm long. We knew we wanted a Yorkie after having had small dogs for the past 16 years, but did not know much about them or where to look. Thankfully, we found Susan by calling the number on the GorjessPets website! Susan spent over an hour talking to us and answering all of our questions. She is very knowledgeable about the breed and made us feel comfortable talking with her. We picked out a precious little male, and Susan made all the arrangements to have him sent to us. She was with us every step of the way and on the phone with us minutes after he arrived. She has continued to follow up with us, making sure we are pleased and answering every question we have. Anyone wanting a Yorkie should definitely contact GorjessPets! Our precious little Yorkie, "Tucker", is perfect and could not be more loved! 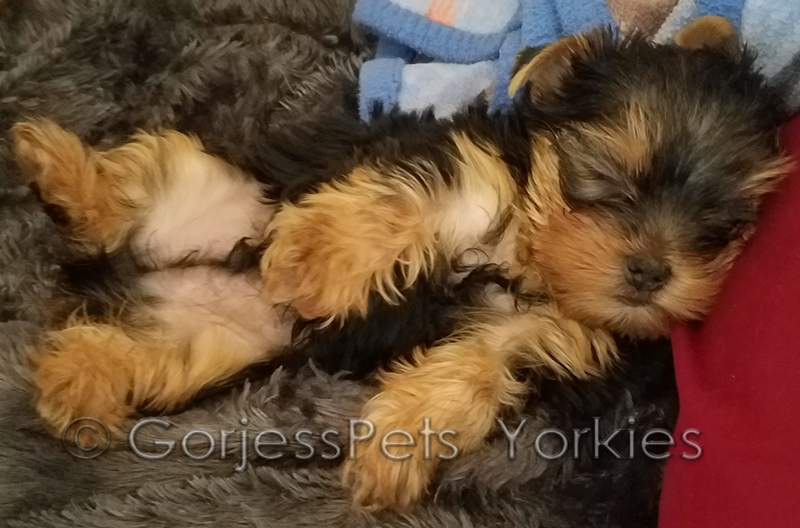 GorjessPets Yorkie Puppies have been a small, but reputable breeder for the over 10 years. We take pride in producing high-quality puppies with a trackable 35 year, pedigree history minimizing health issues. With professionalism and outstanding moral values when it comes to passionate Yorkie breeding you will experience with us is something you will not experience anywhere else. Please Google us and see for yourself that our customer track record is outstanding. Call today to learn more about us. Our experience as a single breed, breeder will surely benefit your desire for a quality puppy for your family for many years to come. 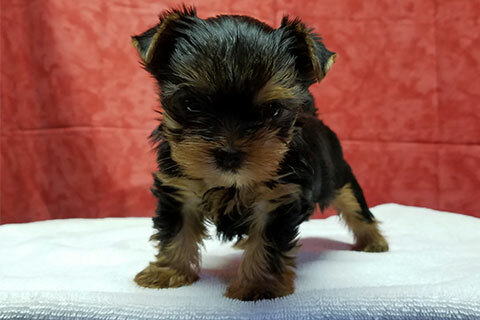 So when it comes to choosing a trusted Yorkie breeder in Las Vegas and surrounding areas, who would you prefer to purchase a puppy or dog from? A store that promotes backyard breeders or worse yet, puppy mills producing many breeds of sub-quality puppies who may only last a few years but their vet bills lasting a lot longer, or a trusted Yorkie breeder, who focuses on a single breed of dog, the breed you are now looking for with 10+ years' of passionate breeding of Yorkshire Terriers? We Promise Reliable, Responsible, Reputable and Quality Puppies!